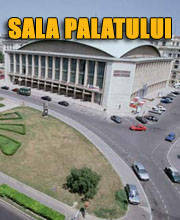 Buy tickets for The Cranberries at Eventim.RO. There are no Fan Reports yet written for The Cranberries. Be the first to write a review and share your experience with others. The Cranberries are an Irish rock band formed in Limerick in 1989. The band consists of vocalist Dolores O'Riordan, guitarist Noel Hogan, bassist Mike Hogan and drummer Fergal Lawler. Although widely associated with alternative rock, the band's sound also incorporates indie pop, post-punk, Irish folk and pop rock elements. The Cranberries rose to international fame in the 1990s with their debut album, Everybody Else Is Doing It, So Why Can't We?, which became a commercial success and sold over five million copies in the United States. The group was one of the most successful rock acts of the '90s and sold over 15 million albums in the United States alone and over 40 million albums worldwide. 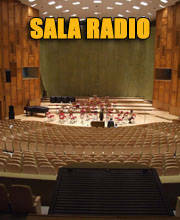 The band has achieved four top 20 albums on the Billboard 200 chart (Everybody Else Is Doing It, So Why Can't We? ; No Need to Argue; To the Faithful Departed and Bury the Hatchet) and eight top 20 singles on the Modern Rock Tracks chart ("Linger", "Dreams", "Zombie", "Ode to My Family", "Ridiculous Thoughts", "Salvation", "Free to Decide" and "Promises”). 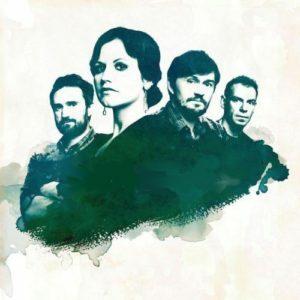 After a six-year hiatus, The Cranberries reunited and began a North American tour, followed by dates in Latin America and Europe in early 2010. The band recorded their sixth album, Roses, in May 2011, and released it on 27 February 2012.